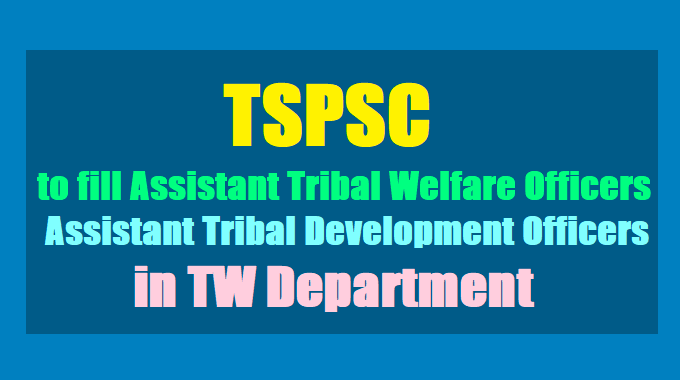 TSPSC to fill Assistant Tribal Welfare Officers/ Assistant Tribal Development Officers in TW Department 2017: GOVERNMENT OF TELANGANA:: G.O.Ms.No. 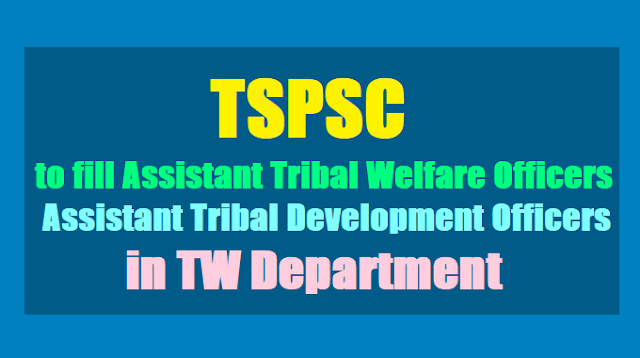 131, Dated: 12-09-2017:: FINANCE (HRM-VII) DEPARTMENT: Public Services – Tribal Welfare Department - Recruitment – Filling of (07) Seven vacant posts of Assistant Tribal Welfare Officer / Assistant Tribal Development Officer under the control of Commissioner Tribal Welfare, Telangana, Hyderabad, by Direct Recruitment through the Telangana State Public Service Commission, Hyderabad – Orders – Issued. Ref: T.W. (Ser.I) Dept., U.O.No.1193/T.W.Ser.I/A1/2017, dt:01.09.2017. ORDER: Government have reviewed the Direct Recruitment vacancy position in Tribal Welfare Department. After careful examination of the proposal furnished by the Department and keeping in view of the actual requirement of manpower with reference to the nature of work and activities of the department and also the overall financial implications, Government hereby accord permission to fill (07) Seven vacant posts of Assistant Tribal Welfare Officer / Assistant Tribal Development Officer under the control of Commissioner Tribal Welfare, Telangana, Hyderabad, by Direct Recruitment through the Telangana State Public Service Commission, Hyderabad. 2. The Secretary, Telangana State Public Service Commission, Hyderabad shall take appropriate steps for filling the above vacancies through direct recruitment by obtaining the details, such as local cadre wise / vacancy position, roster points and qualifications etc., from the concerned authorities. The Secretary, Telangana State Public Service Commission, Hyderabad shall issue the notification and schedule for recruitment expeditiously.